Winston Churchill’s American mother, born Jennie Jerome, brought him up almost single-handed. Over forty years they exchanged at least 1,000 letters. These reveal Jennie not just a mother - but as her son’s life coach, career consultant, literary agent, political adviser, publicist, critic, estate agent and partner in financial distress. Both mother and son are wonderful writers. Their letters are frank, yet reveal how dependent on his mother Churchill remained - practically and emotionally – until he was thirty years old. Then the wheel turns. Her charms fade and her life crumbles. She needs him more than he needs her – until he goes to fight on the Western Front. Many of the letters have never before seen the light of day; as a correspondence it has never been published. Collected and edited by David Lough, author of No More Champagne: Churchill and His Money, it sheds new light on Churchill’s development - emotional, intellectual and political. It also paints a vivid picture of motherhood – the poignant passage from young life-giver to elderly burden. "...excellent explanations of the events involved, the author gives readers first-rate insight into the personalities of mother and son ." "This superb exchange of letters allows us some real understanding of this unique relationship. " "This entertaining and illuminating collection, which could be read at a gallop, or at leisure….edited and annotated with an admirable light touch ." "Readers who enjoy piecing together history and filling in gaps from primary evidence, as well as historians and Churchill enthusiasts, will find much of interest." "This sparkling volume will be devoured by all who revere Churchill." 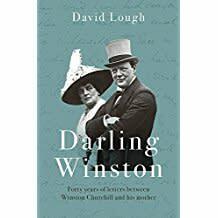 David Lough’s collection of correspondence between Winston Churchill and his mother Darling Winston, Dearest Mamma is serialised in the Daily Mail today. 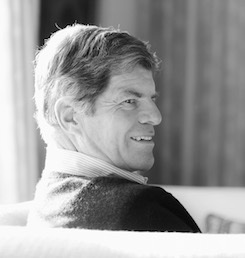 North American rights in David Lough’s Darling Winston, Dearest Mamma, a selection of letters between Winston Churchill and his mother, have been bought by Pegasus.